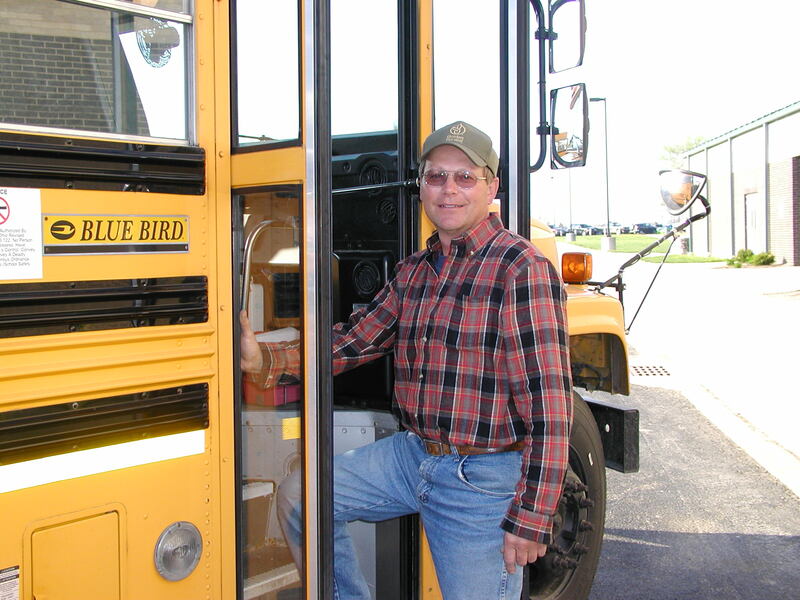 Ohio Pupil Transportation Operation and Safety Rules prescribe methods for how students are to load and unload at bus stops. Our drivers train students on the rules and proper loading, unloading, and riding procedures at the beginning of and throughout each new school year. Each student will have a Designated Place of Safety on the residence side of the bus assigned by the bus driver. For loading in the morning, each student will go to the designated place of safety before the bus arrives and wait until the bus driver signals for the students to board the bus. 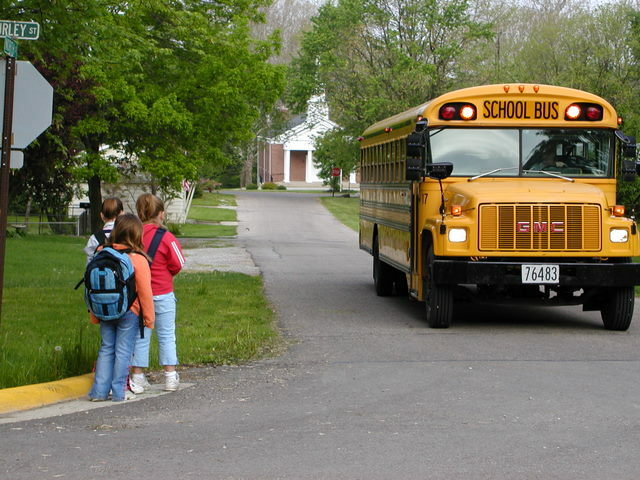 Before leaving the designated place of safety, the bus driver is required to count the students and then count them again as they board the bus. The hand signal to be used by drivers is to raise the hand palm up and out towards the windshield. When safe to board, the driver will make eye contact with the students and slowly drop the hand straight down. For unloading after school, students will be required to go to their designated place of safety. They must remain there until the bus leaves the bus stop before they can proceed to their residences. While at the designated place of safety, students will be counted by the bus driver to make sure the number is the same as what was counted when students got off of the bus. The rules do not allow students who miss the bus to try to flag the driver to stop the bus. Students may only board the bus from their designated place of safety. The rules state that each pupil shall be assigned and required to use a specific school bus stop except in unusual circumstances as approved by the transportation supervisor. 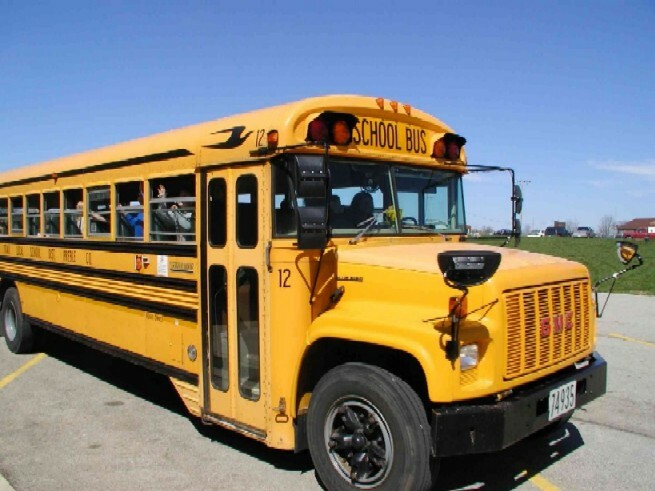 Students who miss the bus will have to provide their own transportation to school. Routes are SET as of Friday, August 10. Any pick up/drop off changes or requests after August 10 may require up to 2 weeks to accommodate and become effective. Please check the Bus Schedules below to find your child's route and AM pickup time. DO NOT WAIT UNTIL ORIENTATION TO NOTIFY TRANSPORTATION DEPARTMENT OF ADDRESS OR PICK UP & DROP OFF CHANGES! Please understand that routes cannot be changed to accommodate last minute notifications. You will be responsible to transport your child until such time the transportation department can reasonably make those adjustments to the routes. Please drop off your CTC students in the HIGH SCHOOL parking lot. For safety reasons, cars are not permitted in the bus loading area any time school buses are present. The National Trail/CTC Bus will depart promptly at 7:20am each morning and return at 3:05pm. CTC students are scheduled to ride afternoon elementary bus routes home. There are some days throughout the school year that the MVCTC is scheduled to be in session while National Trail is scheduled to be closed to students. For example, National Trail Staff Development days. On these types of occasions, National Trail will provide transportation from National Trail School to MVCTC and back. Students will need to provide transportation to National Trail School and plan to arrive no later than 7:15am for a 7:20am departure to MVCTC. NATIONAL TRAIL POLICY: High School and Middle School students are NOT permitted to ride elementary buses from participation in extra-curricular, after school activities. Attention: Kindergarten and Elementary Bus Riders!!! If your child will ride the bus to or from a location other than your home address, you must fill out an “alternate pick up and drop off” form available in the NT Elementary Office or you can download the PDF file/form in the section above, fill out the form, scan and return via email. This form needs to be turned into the Transportation Office prior to the start of the school year or your child will be transported only to and from their home address. If your child will ride to and from their home address only, this form is not needed. Fill out an application today in the National Trail District Office. We need conscientious and safe minded drivers today! 1. No bus passes for HS students. 2. Middle School students are discouraged from requesting bus passes due to HS/MS buses running at full capacity. Buses will not be overloaded to accommodate bus pass requests. 3. All bus pass requests for Elementary and Middle School students must be in writing and signed by parent or guardian. 4. All bus pass requests must be received and approval by school administration and will depend on seating availability on buses. 5. For the safety of all students, bus pass requests over the phone are not verifiable and will not be accepted. 6. Students denied bus passes will be transported on their regular route buses to their regular bus stop location. Students will be given the opportunity to call to inform parents their passes have been denied. As always, it is strongly recommended that you have a back-up plan in place should your child arrive home to find that no one is there or the house is locked. Go over your back-up plan with your child so they know where to go and what to do if they find themselves in this situation. Your plan should include a neighbor, friend, or relative your child can call on to stay with until you arrive to get them.